Carl Ford is a writer, director, producer and acting coach/teacher. Carl Ford is a writer, director, producer and acting coach/teacher. Mr. Ford’s directing film credits include Generation X, a short form video documentary about the 1996 Million Man March; The Price of Admission, a short form documentary distributed by Bravo. His short films A New York Minute, Maybe, Barnone, and Echoes in Blue have all done the festival circuit and have won awards at LA Shorts Fest, African Diaspora Film Film Festival, Roxbury Film Festival, Bronx Film Festival, NYIFFVM and several others. Maybe was screened on BETJ and Barnone was screened on IFC in 2004 and 2005 respectively. His directorial feature film debut which he also co-wrote called Real With Me was screened at the Pan-African Film Festival and won best comedy at NYIFFVM. Recently Mr. Ford completed his second feature which he wrote and directed enitled Free Richard and co-produced another feature enitled 30 Beats currently being distrubted by Lionsgate. He has also produced and written two television pilots Barnone—based on his short film--and Soul of Fashion a fashion show pilot for BET. Mr. Ford has also worked as a producer and unit production manager on Miramax, Island Pictures, Orion Classics and Forty Acres and a Mule productions. Mr. Ford has edited over five features including Cold Feet distributed by The Starz Network and has produced and edited music videos for such labels as Sony, Motown and Rawkus Records. Mr. Ford has also written and directed for the theater. He directed Fort Greene Group Therapy with Andre Royo produced at NBC theatrical space at the Here Theater and directed and dramaturged The Rememberers at the Birmingham Repertory Theatre in the United Kingdom. His orginal play The Hard End which he produced and directed as well wrote was mounted at the Stella Adler Theatre in Los Angeles in 2008. From 1996 to 2010 Mr. Ford was the founder, chairman and CEO of Black Nexxus Inc., a bi-coastal production company and acting studio that developed and nurtured such talents as Adepero Oduye (Pariah, 12 Years a Slave) and Angelique Zambrana (Precious). After closing Black Nexxus Mr. Ford went on to co-found Susan Batson Studio LLC., with his mother celebrated acting coach and guru Susan Batson. Mr. Ford has had the pleasure of coaching and creative consulting with such luminaries as Brandy Norwood, Q-Tip, Pharrell, Ice-T, Sean Combs, Tatum O’Neal, Jill Scott and Anthony Minghella. Mr. Ford has had the privledge of doing acting workshops in Los Angeles, New York, London and Australia to do a workshop with the 16th Street Acting Studio. Wass is also currently awaiting the release of several new Films, including "Demolition" co-starring Jake Gyllenhaal, Naomi Watts and Chris Cooper, and "Ava's Possessions". Wass Stevens currently has a recurring role on the NBC series “Taken,” created by Luc Besson. Other notable television credits include a series regular role in "Public Morals," Executive Produced by Steven Spielberg, created by and co-starring Eddie Burns, Mike Rapaport, Brian Dennehy and Tim Hutton, and recurring roles on "House of Cards" with Kevin Spacey and Robin Wright (Executive Produced and Directed by David Fincher), "The Good Wife," "Ugly Betty," and all three "Law and Order" shows, as well as numerous guest starring roles, including CBS’ “Blue Bloods,” HBO's "The Leftovers," NBC'S "The Blacklist," and CBS' "Elementary" to list but a few. Other recent notable film credits include “John Wick 2” starring Keanu Reeves,” “Patti Cake$” which won several awards at the Sundance Film Festival, , ”Demolition" co-starring Jake Gyllenhaal, Naomi Watts and Chris Cooper (Directed by Jean Marc Vallee), "The Wrestler" (Dir. Darren Aronofsky), “Brooklyn's Finest" (Dir. Antwoine Fuqua), and "World Trade Center” (Dir. Oliver Stone). He has also appeared in over forty TV commercials. In addition to studying and teaching at the Susan Batson Studio "since the beginning…," Wass has studied with Sheila Gray, Gretta Seacat and William Esper, studied and performed with "The Groundlings" in Los Angeles, and has a B.A. in Economics from Union College and a J.D. from Brooklyn Law School. Wass was born and raised in Brooklyn, N.Y. He is currently a partner in “Tao Group,” which owns and operates many nightclubs, restaurants and hotels in NY, LA, Australia and Singapore, is a partner in the "Artichoke Basille's Pizza" chain, owns "Rivington Tattoo NYC," is a former Litigation Attorney and Bronx Assistant District Attorney, and is an amateur boxer and avid motorcycle enthusiast. One of her plays won an award for being the "Best Young Creative Artist Project. Cloe Xhauflaire is an actress and acting coach originally from Belgium where she studied theatre at The Royal Drama Conservatory in Brussels. She is proud to have a never-ending curiosity about the craft of acting and has furthered her training with some of the best teachers in the world including Susan Batson, Larry Moss and Anthony Abeson. 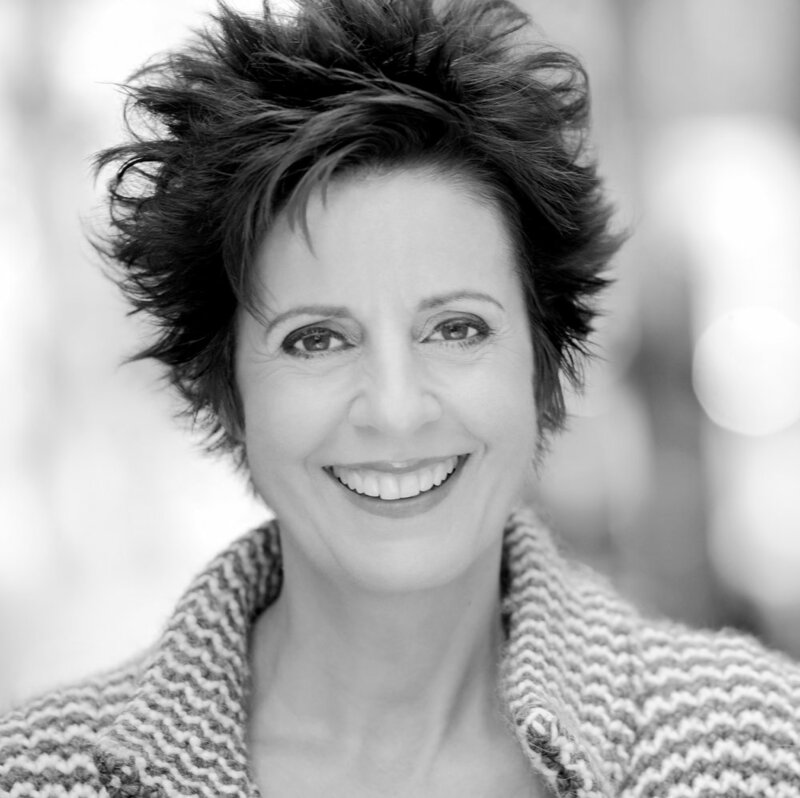 In Europe, Cloe has worked with many directors and was the founder of her own very successful theatre company. She has many credits across the board and has worked in films, television, commercials and the theatre in Belgium, France and America. Cloe is now acting, teaching, living and pursuing her dreams as an International artist in New York City. Fiona has a vast experience of stage work ranging from the classics to contemporary plays. Susan directs and creates cabarets. Susan Campanaro is honored to be the Improvisation teacher at SBS Studio. 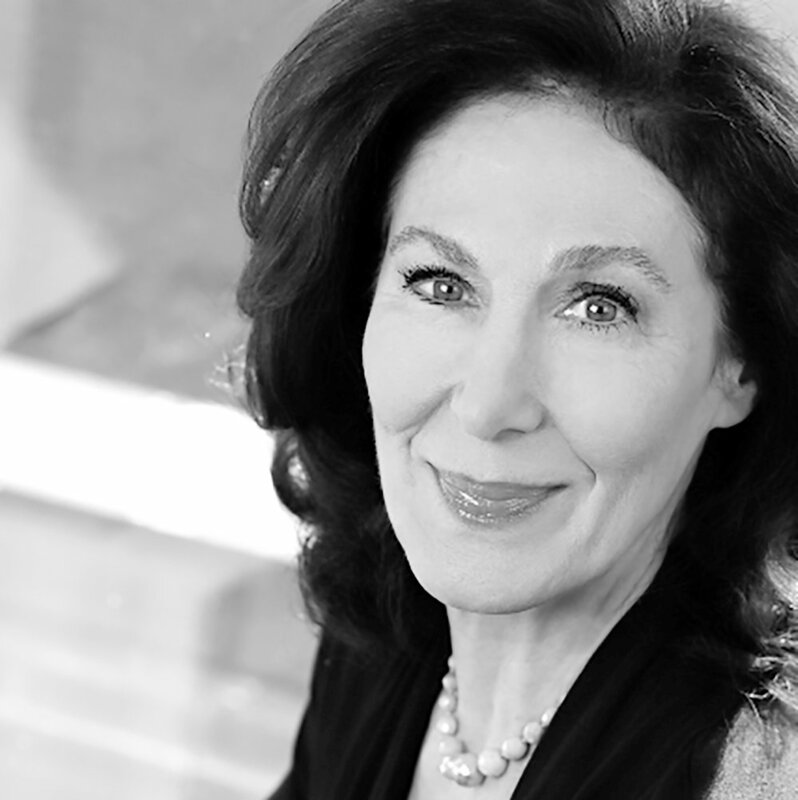 Susan has been an improvisational artist off-Broadway and created original works throughout her acting career. Tony -n-Tina's Wedding, My Big Gay Italian Wedding /Funeral, All Dolled Up, 5 Minutes Miss Draper. For the last 15 years she has been a NYC nightlife entertainer as Lavinia Draper, an alter ego she created. Susan directs and creates cabarets. She is proud to have started the SBS Players for monthly improvisation and sketch performances at the studio. Luca was also seen on stage playing the very talented and troubled British singer Robbie Williams in a one-man show which he wrote and Ms. Batson directed. Luca Manganaro is an Italian actor who moved to New York City in 2009. He has worked in film, television, and theatre. His credits include the Italian TV series “I Cesaroni” directed by Francesco Vicario, and the movie “Sulla Strada” directed by Uli Müller. His theatre roles have ranged from plays by Aristophanes to Ayckbourn. Luca received a vast training in drama and was very pleased when asked to teach at the school of his mentor, the world-renowned acting coach Susan Batson. Luca can speak four languages (Italian, French, Spanish, and English), and can play the guitar and piano. He is also a singer-songwriter and is about to release his first album. Her TV appearances include Boardwalk Empire, David Letterman and The Oprah Winfrey Show. Francesca Harper is an internationally acclaimed multi-faceted artist. After being named Presidential Scholar in the Arts and performing at the White House, Harper performed soloist roles with the Dance Theater of Harlem and spent several years as a principal in William Forsythe’s Ballet Frankfurt. The vastness of her artistry led her to Broadway for productions including Fosse, The Producers, All Shook Up, The Frogs and the Tony nominated treasure The Color Purple. National tours include Sweet Charity and Sophisticated Ladies. Harper has choreographed works for Alvin Ailey American Dance Theater, Ailey II, Tanz Graz, Hubbard Street II, Dallas Black Dance Theater, and her own company, The Francesca Harper Project. Her TV appearances include Boardwalk Empire, David Letterman and The Oprah Winfrey Show. Harper also served as ballet consultant for the feature film, "Black Swan," by Darren Aronofsky, starring Natalie Portman, who went on to win an Oscar. Most recently, Harper was appointed as an Adjunct Professor at New York University and continues the vital role of teacher and choreographer for The Ailey School, Fordham University’s BFA Program and the Susan Batson Studio led by Tony Award winning Director Susan Batson. He was recently seen as the title character in the world premiere of Edward Allen Baker's The Framer at the Michael Weller Theatre. Tom was last seen on stage as “Frank” in Kernel of Sanity by Kermit Frazier at the New Federal Theatre. Tom was in the U.S. premiere of Kurt Weill's Marie Galante at the Alliance Francaise (FIAF). He was recently seen as the title character in the world premiere of Edward Allen Baker's The Framer at the Michael Weller Theatre. As a lifetime member of The Actors Studio he’s performed in A Hatful of Rain, Thunder Rock, and Days of Wine and Roses. Off-Broadway he was in The Big Vig (Bank Street Theatre) and The Sleeping Girl (by Suzanne Bradbeer at the Peter Jay Sharpe Theater). His film credits include the soon to be released Boy Wonder and Local Tourist as well as Fish in the Bathtub, Virgil Bliss, Real with Me, Down to the Bone, Chicken Bones, The Last Godfather, Coffeeville, and the upcoming Paper Covers Rock (by Joe Maggio on IFC). On television he’s appeared in Law & Order plus numerous commercials. Tom is a co-founder of Create UR Life, LLC. His acting reel can be seen online at CreateURLife.Org. 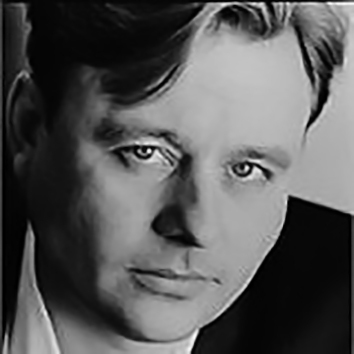 Tom Brangle has instructed and coached many successful actors across the nation for years, working at New York’s School of Visual Arts in addition to conducting workshops in Singapore and Istanbul, at Scuola di Cinema in Rome, and at The New Collective in Los Angeles. Besides being the co-founder of Create UR Life, Tom is a proud member of SAG, AEA, and AFTRA. Mary is called upon by Disney to teach the leading players for the Broadway and touring companies of Elton John's Billy Elliot, Aida and The Lion King, Phil Collins' Tarzan, and Andrew Lloyd Webber's Bombay Dreams. Mary Setrakian was born and raised in San Francisco, California. She has been a resident of New York City for the past 30 years performing professionally, in conjunction with teaching master voice to a variety of artists in New York, Los Angeles and internationally throughout Italy, Russia and Portugal. She has been seen on Broadway in Hello, Dolly! starring Carol Channing, and toured the US and Europe with Broadway shows including Phantom of the Opera (Madame Giry), Les Miserables, Hello, Dolly! and Evita (Eva Peron). Mary was featured at Carnegie Hall in Jubilee directed by Herbert Ross. As a voice teacher, Mary prepared Nicole Kidman for her Golden Globe Award winning and Oscar nominated performance in Baz Luhrman's Moulin Rouge. She taught the stars of John Turturro's musical movie Romance & Cigarettes, including Kate Winslet, James Gandolfini, Mandy Moore and Bobby Cannavale. Mary is called upon by Disney to teach the leading players for the Broadway and touring companies of Elton John's Billy Elliot, Aida and The Lion King, Phil Collins' Tarzan, and Andrew Lloyd Webber's Bombay Dreams. Other students include Juliette Binoche, Sierra Boggess, Kerry Washington, Milla Jovovich, Aida Turturro, Annabella Sciorra, Keri Russell, Tate Donovan, Micky Dolenz, Debra Cox, Simone, Charles Osgood, and Italian stars Serena Autieri, Filippo Timi, Marco Ligabue, rapper Baby K and Gala. Mary holds a Masters in Voice Performance from the New England Conservatory with Distinction and is a graduate of Stanford University in Music/Voice with Honors. She has studied acting with her mentor, Susan Batson, for over 25 years. Acting training with legendary master teachers Paul Mann and Stella Adler. Actress, Teacher, Coach. Protégé and assistant for ten years to renowned phonetician and speech teacher Alice Hermes at HB Studio. Lenore served as a faculty member at HB Studio, The New School, the Puerto Rican Traveling Theater, the American Academy of Dramatic Art, and Hunter College. Private clientele of leading artists & business corporations include Mikhail Baryshnikov, Barbara (B.) Smith, Vogue, O Magazine and Moody’s. Acting training with legendary master teachers Paul Mann and Stella Adler. Shakespeare training with Fanny Bradshaw, Philip Burton (Richard Burton’s step-father), and Gladys Vaughan. Voice training with Marian Rich and Elizabeth Smith. Stage and Film credits include SWEET LORRAINE with Tatum O’Neal, KILL YOUR DARLINGS with Daniel Radciffe, LENA: MY 100 CHILDREN with Linda Lavin, and the Emmy-Award winning PLAYING FOR TIME with Vanessa Redgrave. Guest star and recurring roles on LAW & ORDER; Stage work Off-Broadway and Regional theaters. Member of AEA, SAG-AFTRA. Chris has been a working actor, featured on many theater, film and television productions. Born and raised in NYC, Chris worked with Susan Batson before attending the Juilliard School to continue his dramatic studies. Since then, he has been a working actor, featured on many theater, film and television productions. The combining of Susan’s innovative method of working inside out, to find the emotional need of a character and the traditional theater techniques, focused on breath and relaxation, he learned at Juilliard, continue to serve him well and enrich his craft. Chris was very happy to be invited by Susan to share this knowledge with the students at SBS, which continues to be a rewarding experience for him. Omar uses his specificity as an on-camera actor to provide knowlege and direction on how to successfully craft an audition and prepare for the "world of being on-set". 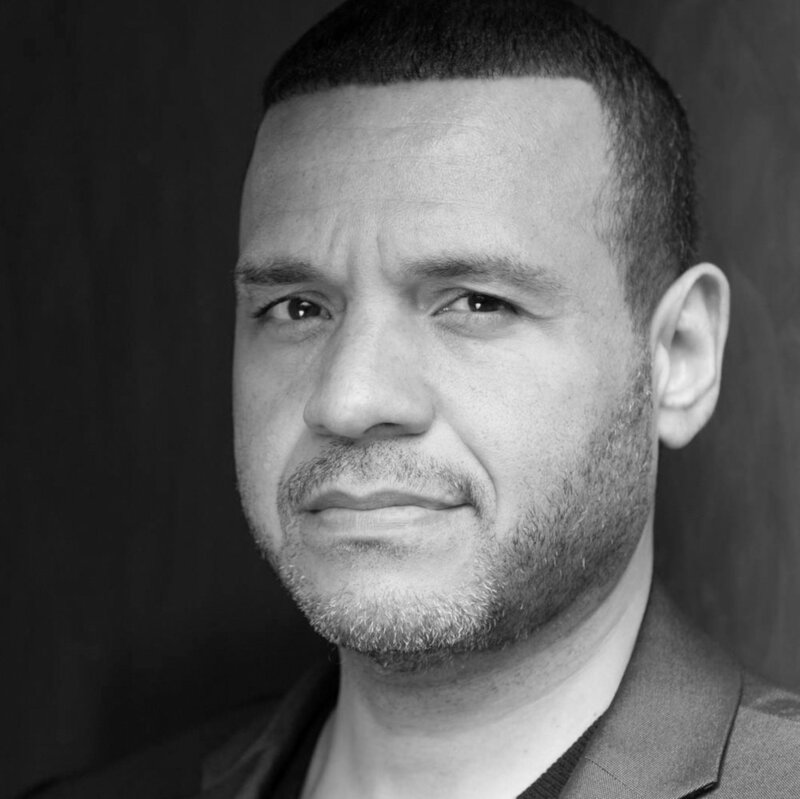 Omar Salmon is an actor from Brooklyn, NY who has appeared on the silver screen as well as multiple cable networks. His most recent productions include, the Hallmark movie, Broadcasting Christmas starring Dean Cain, HBO's The Night Of and VH1's The Breaks. He has also starred in multiple independent films, some of which have won awards across the United States, including last year's HBO Award for Best Film at the Martha's Vineyard International Film Festival. Earlier in his career, Omar graced the stages in many Off- Broadway and Off-Off Broadway plays. While his love for the stage will always remain, he has developed quite the affection for working on-camera. As a coach at the Susan Batson Studio, Omar uses his specificity as an on-camera actor and his training in script breakdown to provide knowlege and direction on how to successfully craft an audition and prepare for the "world of being on-set". Omar continues to pursue acting and looks forward to assisting as many people as he can along his journey. "I've always thought as an actor I have the honor to be able to tell stories and connect to so many different people across the world. It was never about me - I believe that is why I enjoy it so much and why I will continue to get better at it." "The Susan Batson Studio is where I became aware of what it means to be a fully invested artist." Our teachers have coached a variety of actors across the world and have supported them in the execution and development of their craft. SBS offers private coaching to any and all actors who are interested in one on one time with our wonderful teachers. This time can be used to prepare for auditions, roles, and/or just discuss the building and application of their own technique. Our teachers have coached a variety of actors across the world and have supported them in the execution and development of their craft. Please call the office for rates and availability. In addition to Private Coaching we also have coaches who can put you on tape and read with you for self-tape auditions then email/upload your audition. We find the time needed for these sessions varies between actors depending on their level of preparedness and whether or not they have recieved private coaching. We want to make sure your best work is seen by the casting director. We offer this service for $75 per hour.